Description CARFAX 1-Owner, ONLY 38,567 Miles! FUEL EFFICIENT 26 MPG Hwy/22 MPG City! Nav System, Heated Seats, Moonroof, Bluetooth, Aluminum Wheels, CD Player, iPod/MP3 Input, ENGINE: 2.0L I4 DOHC 16V DUAL VVT, RADIO: 430N READ MORE! Heated Driver Seat, iPod/MP3 Input, Bluetooth, CD Player, Aluminum Wheels, Heated Seats. Rear Spoiler, Privacy Glass, Keyless Entry, Child Safety Locks, Steering Wheel Controls. RADIO: 430N SiriusXM Travel Link, 6.5" Touchscreen Display, 40GB Hard Drive w/28GB Available, QUICK ORDER PACKAGE 24P HIGH ALTITUDE Engine: 2.0L I4 DOHC 16V Dual VVT, Transmission: Continuously Variable Transaxle II, Bright Exhaust Tip, Remote Start System, Power Express Open/Close Sunroof, Body Color Fascias w/Bright Insert, Power 6-Way Driver Seat, Bright Side Roof Rails, AIR CONDITIONING W/AUTO TEMP CONTROL, PARKVIEW REAR BACK-UP CAMERA, ENGINE: 2.0L I4 DOHC 16V DUAL VVT (STD), TRANSMISSION: CONTINUOUSLY VARIABLE TRANSAXLE II Autostick Automatic Transmission, Tip Start (STD). 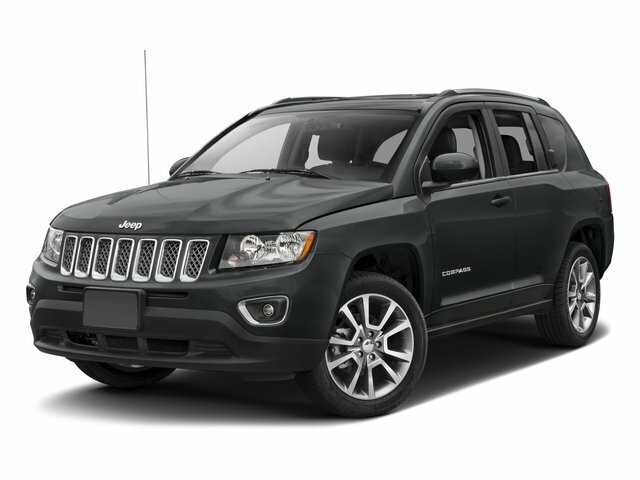 Jeep High Altitude Edition with Granite Crystal Metallic Clearcoat exterior and Dark Slate Gray interior features a 4 Cylinder Engine with 158 HP at 6400 RPM*.